When I was creating my 2010 recap of critter photos for Camera-Critters, I realized that I didn't have any photos at all from February of 2010. After looking a little further, I realized I hardly had any photographs from February of 2009 either. I guess I'm deep into my hibernation mode by the time February rolls around! haha So, I'm kind of proud that I have a few photographs in the February 2011 folder on my hard drive. Not many, but a few any way. This photograph is one of them. Actually, to be honest, this photograph was a result of my going outside with the camera and forcing myself to snap a few photos, because I knew that I desperately needed to emotionally. Whether you're using one of those cheap desktop computers or you've got a laptop in your lap, you should join in this fun meme (just click on the badge), which focuses on getting it right the first time. Coming out of hibernation is a very good thing, for the buds and the bears and you, Misty. Great catch, Misty. I'm glad you forces yourself outside. Hummm....a budding photo from a photographer. 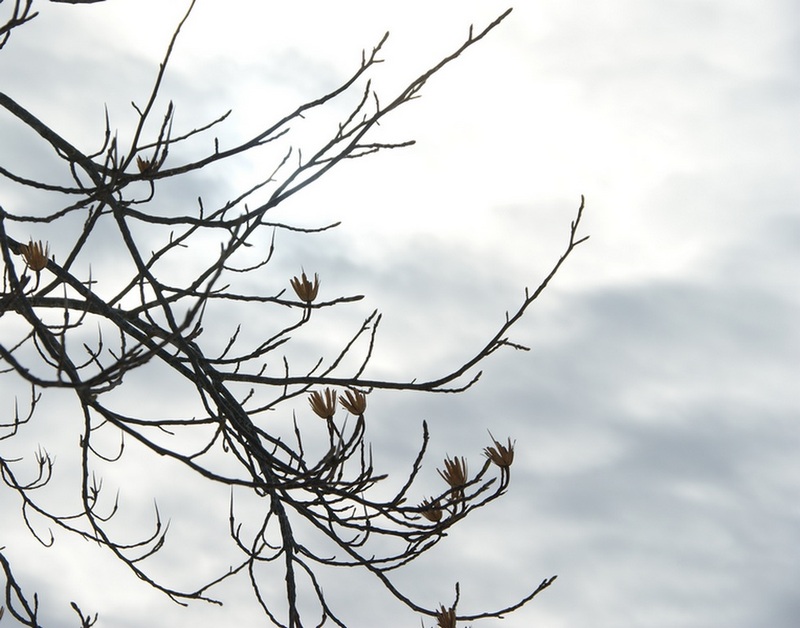 I love, and always look for, the first buds of spring. This year they come late as we are still having snowfall...I don't think I've ever seen snowfall this late where I live. It's a beautiful picture. It is so hard to get out in February between the fog and drizzle and cold and all that other stuff. Luckily, we're almost to March! The windchill here this morning was -29 C so I'm still hibernating! I WANT SPRING!! !